CHECHESMITHNATION : Creativity I Say....What Say You? 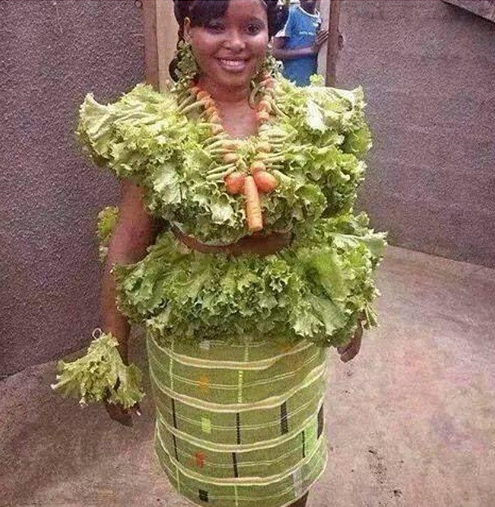 On a lettuce fashion P. So it is said that she rocked this Vegitable outfit to a fashion show in Jos. I love fashion outlaws,because I am one...and I dare to say this is creativity on display,full and well layered lettuce top,on a lemon color matching oleku, paired with a lettuce bangle...lol and of course a carrot neck piece.